Are Environmental Changes on Earth Partially Due to Attacks by Alien Planets? What we are securing are breathes through medicinal development, roof through architect, oxygen through science, food through agricultural research, in short, survival of life through several developments. But do we know what reputation our earth has on intelligent living beings of other planets? It is difficult to answer this question without applying both imagination and logic. But it is essential to answer it for behaving in an impressive manner in front of the universe at large. Do aliens get repelled by earth by seeing the misdeeds of humans? Do aliens feel that further development of earth can impose threat to the universe and therefore it should be suppressed for security reasons? Are there highly developed planets that keep a close eye on the developing planets? Is this true that most developed planets will not like the universal advancement of a planet that lacks morals on behavioural front? Can a planet with great advancement and low morals become a threat to other planets of the universe? Has our developing earth become a threat to the peaceful universe? With the current development on earth, country attacks country. With the further development of earth, will planet attack planet? Will humans rule aliens or will humans get ruled by aliens? Is it an intelligent choice to attempt to reach other planets with life? Are these environmental changes partially due to our mistakes and partially due to attacks by alien planets? The most powerful planet of the universe; let's call it God's place of living and giving. If God lives on an alien planet and controls the level of power that can be assigned to other planets then are we trying to exceed the limit of power that is set for us? Who knows the truth behind these questions? At present, no one can answer the questions related to the supreme most power(s) of our universe. But research continues, quest is still not silent, brain is working high, truth is being explored and there might be hope only if we learn to behave morally at universal front. A cruel man should never rule the earth, we know this. A planet with cruel track record should never reach other living planets; we might come to know this. No alien power will want a developing planet (Earth) to step in to change or challenge the universal system. Humans are a form of power on earth but not the supreme most beings of the universe. Though humans can rise to the height of perfection (as guided by some religious practices) this has rarely (if ever) been a real happening. There are reasons to believe that prior to our birth the height of perfection might have been reached by some humans or aliens. They who reached the height of power at the universal front might now be controlling all planets including earth. We therefore should worship the alien of most power in the universe. The alien of supreme most power might surely be having the ability to design or help in designing a perfect earth. Help from aliens for our planet can be made more possible by honoring and respecting them. Thus, in order to create a beautiful relationship with aliens we need to create temples of the alien. Worship God, Lord, Love and Light. We have received such several instructions for worshiping for the benefit and insight. However, the present truth is that generations to come will need evidence from science to believe and reasons supported by logic to follow commands. We therefore need to present to the people that the supreme most Alien who lives on the most developed planet might be our God. These believe can be supported both by science and logic. Human brain gets affected by several types of energies on earth. For monitoring and controlling human brain, the aliens living on other planets can enter an alien energy in the body of the targeted human. This alien energy can be incompatible with the natural energies found on earth. An entry of alien energy in human body can result in increased risk to physical and mental diseases and disorders; especially for mental disorders. 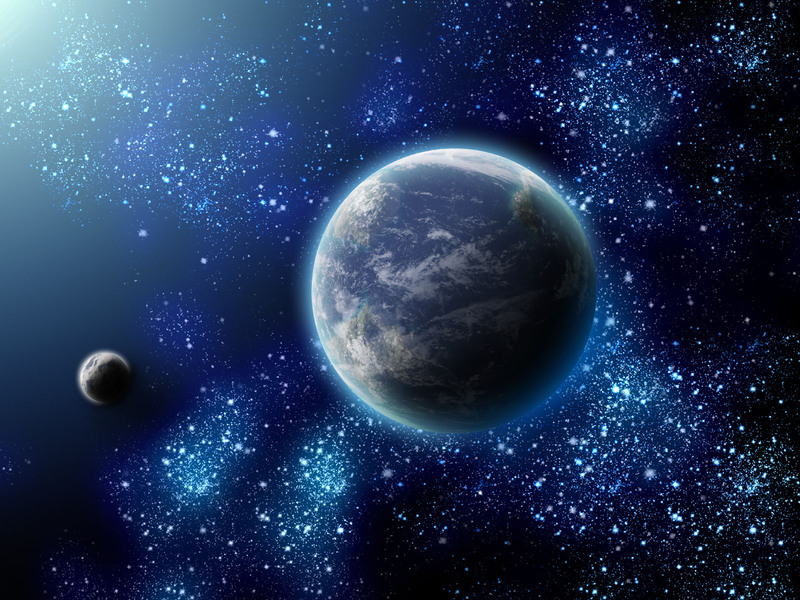 Aliens might be living on other planets or stars. Some of these planets can view our planet. The aliens might be having an alien network on our planet. Through this wireless network on earth the aliens might be viewing, monitoring and controlling our planet. What we call Karma can be the result of constant monitoring of our actions and declaring the reward and punishment for them. The establishment of wireless network might also be done to inhibit the growth and development of earth above a certain decided value. Aliens might believe that the entry of earth in the universal system as a planet affecting other planets should not take place. The one in control of everything might be the most powerful of all aliens. We can call him supreme alien or God. Since there are two types of energies available on earth: White magic and Black magic, it can be that there are two supreme most aliens in the universe. There might be “two” aliens with most power and planets; who live on their own individual planets and control the universe. The two aliens with most power might be rivals of each other and therefore there are two types of energies, emotions and levels of existence (Good and Bad) on earth. The two most powerful aliens who are rivals of each other might be fighting with each other. They might be working to conquer or completely control as many planets as possible. The fight of these two aliens might also be there for our planet earth. This means that there are two most powerful planets in the universe that are in war with each other for our planet. The planet of good alien might want to create a better place to live for us while the planet of bad alien might want to end our planet. In biblical terminology, since God is working hard to make this earth a wonderful place for survival, the Saturn is putting in all his power to end the planet of ours. The write up by Ms. Kalra is the common place feeling in the country like India. But people have become habitual to money and materialism as their God in their actions. Philosophically they still believe in values and character, recommended by most religions/sects. It is a by product of Human development we may better call Spirituality/ Humanity.